Dr. Connors has published eight major handbooks for nonprofit organization management since 1980, including the second edition of the Volunteer Management Handbook in 2011. He served as the lead and core faculty member for the Norwich University Master of Public Administration (MPA), Charitable-Nonprofit Management Concentration and Graduate Certification program from 2013-2018. His doctoral studies focused on human services management, with a specialization in Management of Nonprofit Agencies. In 2014, Norwich University launched the nonprofit management concentration in the MPA program to which was driven by Dr. Connors Self-Renewing Management Model he introduced in 1997. The concentration provides the academic foundation for the university’s four graduate certificates in nonprofit management. He served as editor for Leading at the Strategic Level by James W. Browning, a book about the new strategic leadership published by National Defense University in 2012. Captain Connors’ distinguished U.S. Navy service (Airman Recruit to Captain), included 32 years of duty on ships (Surface Warfare Officer qualifications), units, flag staffs, and senior officer responsibilities in public affairs and project management on the staff of the Secretary of the Navy and the Chief of Naval Operations. Tracy D. Connors graduated from Jacksonville University (AA), University of Florida (BA), the University of Rhode Island (MA), and Capella University (Ph.D. with Distinction, human services management, 2013). Dr. Connors was designated a “Distinguished Dolphin” by Jacksonville University, Feb. 2, 2010. Jacksonville University conferred on him its Ph.D. (Honorary) in Leadership Excellence, December, 2013. U.S. Navy service (Airman Recruit to Captain) included: 32 years of active/inactive duty on ships (Surface Warfare Officer qualifications), numerous senior flag staffs, and duties on the staff of the Secretary of the Navy and the Chief of Naval Operations (public affairs and project management). 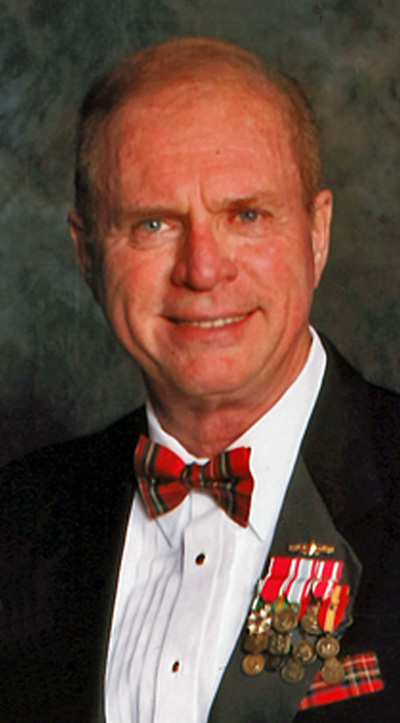 Dr. Connors has over 40 years total experience in a variety of increasingly responsible positions in business, government and philanthropic organizations. He has served in numerous executive/board positions for charitable organizations, including: EMS (founded an ambulance corps, served as CEO), arts and cultural organizations (CEO, regional arts council; symphony VP; BoD arts councils), social service organizations (CEO, jobs-education center; BoD nonprofit support center), and civic organizations (BoD heritage organization, BoT church; regional volunteer staff, BSA). In December 2013, Dr. Connors delivered the Commencement Address for JU’s Fall graduation (See “Help yourself by helping others…“). At that time, Jacksonville University President Tim Cost conferred an Honorary Ph.D. in Leadership Excellence on Dr. Connors to recognize his “unsurpassed publication record” in the field of charitable-philanthropic organization management, and his “distinguished U.S. Navy service.” In addition, President Cost conferred the University’s first Honorary Associate of Arts Degree to recognize Dr. Connors’ tenure as a JU Student from 1957-1959, during which he was a member of JU’s first Soccer Team and President of the JU Chorus. Dr. Connors has published eight major handbooks for nonprofit organization management since the first such handbook in 1980, and the first volunteer resource management handbook in 1995. The Second Edition of the Volunteer Management Handbook was published in 2011. He has also published two major military history works: Baited Trap, the Ambush of Mission 1890 (2008,) and Truckbusters from Dogpatch, the Combat Diary of the 18th Fighter-Bomber Wing in the Korean War (2006). He served as Editor, Leading at the Strategic Level (Browning), the new strategic leadership text published by National Defense University (2012). Baited Trap, the Ambush of Mission 1890, BelleAire Press, 2007. Periodical publications in national news media and trade press, includes: U.S. Naval Institute Proceedings Magazine, All Hands Magazine, Surface Warfare Magazine, Direction, Navy News, Navy Wire Service, International Defense Images, Public Affairs Communicator, and National Productivity Review. The first comprehensive charitable-philanthropic management handbook focused exclusively on nonprofit organizations was published in 1980 (Connors, Nonprofit Organization Handbook, McGraw-Hill). At the time, few would have agreed there was such a professional area as “nonprofit management” or a “nonprofit executive.” Since then the number of nonprofit organizations in the United States has doubled, even as the field of nonprofit management has emerged and evolved to support improved professional development. Nonprofit organizations provide the majority of human services in the United States–collectively called “quality of life.” Better management and leadership within these organizations directly contributes to an improved quality of life for millions of Americans. 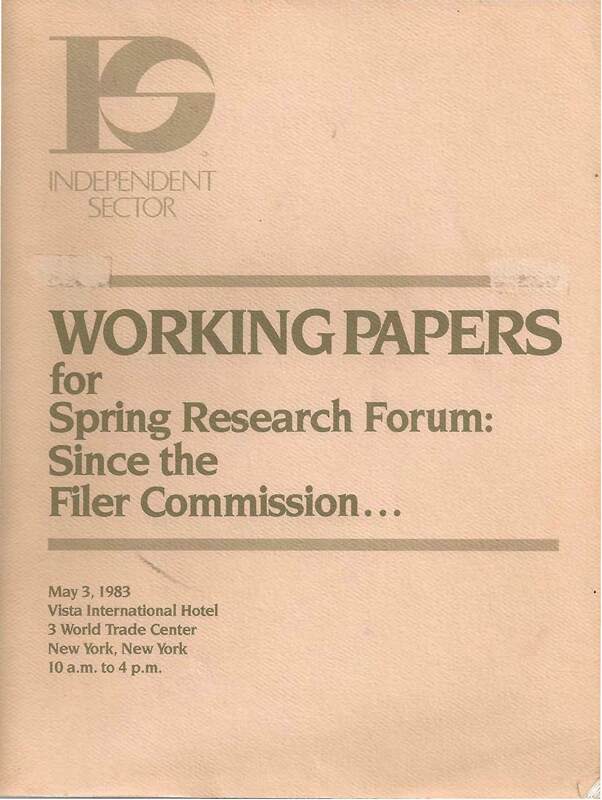 In 1983, “Independent Sector sponsored “Since the Filer Commission,” a research forum conducted in New York, ten years after the Commission on Private Philanthropy and Public Needs had concluded its two-year study into private philanthropic initiatives. The Filer Commission had published its report, Giving in America: Toward a Stronger Voluntary Sector, in 1975. 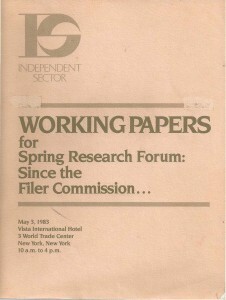 The follow-on research forum asked authors and experts their opinions regarding the accuracy of the original commission’s report; research that had been expanded or continued since the commission had reported 10 years earlier; identification of new issues, new research, or lingering question still unanswered; and, where does the sector go from this point. The working papers were the first attempt in a decade to review the scope and research terrain impacting the nonprofit sector. The purpose of the forum was to attempt to launch a national research agenda for the independent sector. Nonprofit organizations, regardless of the type of public service they provide, share basic management commonalities. A “horizontal” view of NPO Management and NME had emerged.